Are you looking to enjoy a big breakfast before starting your day? Do you feel like dining in without breaking the bank? 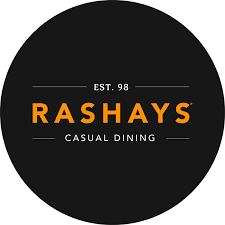 RASHAYS® Tuggerah restaurant opens at 9:00AM 7 days a week allowing you to come in and try our famous Mega Breakfast or Eggs Royale. For those looking for a little morning sweetness, you can order the customer favourite Waffle with Nutella® and ice cream! Try our lunch specials from only $9.90 including Veg Pasta, Fried Chook with our signature RASHAYS® creamy mushroom sauce and Juicy Steak. RASHAYS® Tuggerah is the place to eat also offering delicious gluten-free and vegetarian options – we have something for everyone!